It’s raining in California! Miracle of miracles! All this free water falling from the sky and fresh, loamy earth reminds me it's time to start planning our Spring garden. Last autumn, our milkweed plant was a magnet for all kinds of interesting bugs. Just take a look at the video below for a peek at a single bloom of our milkweed plant. Can you spot a honeybee and three ladybug babies eating? Imagine an entire flower bed! It would be like the food court at the mall, or the San Francisco Ferry Building on a farmer’s market weekend… a huge colorful mass with everyone eating, and mismatched characters moving around in organized chaos. There is a huge decline in the bee population. It’s devastating and has world-wide consequences. Marla Spivak eloquently speaks about the “Beepocalypse” in her TED talk “Why are Bees Disappearing?”. Without honeybees or other pollinators, our food is in danger. And we all love eating, so we really need our bees and other pollinators to survive. What can we do about it? Our family has chosen to foster honeybees in our backyard, but that’s not a solution for everyone. Especially if you live in an apartment, a rental, or any place that has very little space. Our bees need as much nectar & pollen as possible. Pollen provides protein for them, nectar provides carbohydrates, and both are needed for healthy bees and delicious honey. Organic pest control. Pollen + nectar is a big, delicious beacon to ladybugs & other beneficial bugs signaling, “Come and hang out in our yard and have a snack.” This increases the chances of them finding and eating aphids. The more crazy bugs that visit our yard, the more interesting our backyard, which means the more exciting it is for our kids to play outside. Anything to pull them away from video games. The struggle is real! What would a Modern Pollinator Garden look like? All the pollinator gardens I’ve seen look like rainbow potpourri, which is beautiful, but doesn’t quite fit the minimalist organic vibe that we have going on in our backyard. My ideal would be Piet Oudolf's designs, with layers of color planted in drifts, that look natural rather than haphazard. Purples, blues, and white in particular. According to the Xerces Society (a non profit dedicated to the conservation of invertebrates) the most attractive colors for bees are blue, purple, violet, white, and yellow. Coincidentally, those are colors that match our house. Bingo! Plants that are low-water and low-maintenance. We are in a drought in California, so California natives or drought-tolerant plants are the way to go. Native plants for your region require the least maintenance since they are adapted to your climate. And they are also the preferred food of native bees. Low-maintenance also means it's more likely to survive. I am a professional plant assassin, so we need those hardy types living in our yard. We have bees & butterflies that need pollen and nectar. I love watching these pretty insects flit in and out of our yard. Their designs, and colors, the constant activity is just so helpful in getting me outside and helping me to be fully present. It also helps our kids get outside when there’s something fun to watch (or catch with a butterfly net). We eat a lot and I like to dedicate as much of our soil to food. If we have an edible flower for tea or cupcake decorations, that would be a nice bonus. Above: Angelica stricta 'Purpurea'. Photo by Annie's Annuals. This stunning pollinator has ombre shades of purple, with just the right umbrella shape and small flowers to feed pollinators. I've successfully killed two of them. Before they died from the California drought and my neglect, they shot out gorgeous purple blooms that were humming with bees. Fingers crossed this is the year I keep this one alive! This flower is a native flower, but you want to be sure to pick only 'Purpurea', and not a cultivar (or man-made' variety) which may not attract as many pollinators. For more, see Annie's White's research on Native Cultivars v. Native Plants. A low-maintenance native pollinator plant, yarrow (Achillea millefolium) leaves are also a medicinal herb. I have read if the leaves are chewed, and then used as a poultice for bee stings or bug bites, it numbs the area. If this is true, yarrow would be an incredibly handy flower for our beekeeping family. Chamomile flowers are great for tea, especially German chamomile. To make tea, we would add two teaspoons of dried flowers per cup of tea, steeping for 10-15 minutes while covered to keep the volatile oils from evaporating. A decadent version is steeping chamomile in almond milk (or any milk) with honey, and a bit of Ibarra chocolate sprinkled on top. Delicious! I love the vivid colors on this milkweed flower. It is also known as 'heart leaf milkweed' and would be a primary food source for Monarch butterflies. 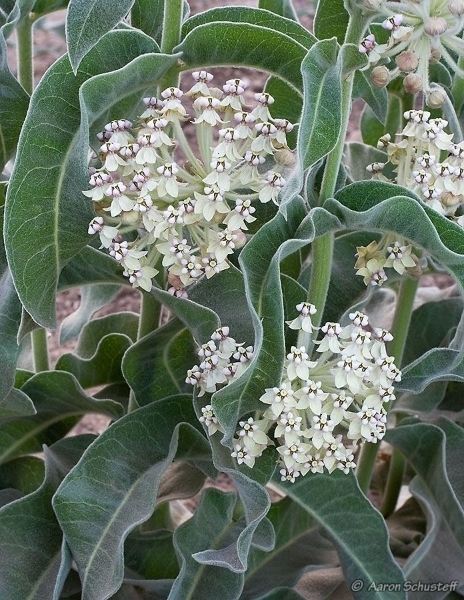 This milkweed has a silvery foliage and is drought tolerant. Nice! This lavender is the most fragrant of the lavenders, and the flowers can be dried for sachets or used for cooking. I like to put dried lavender in the chickens' egg-laying box when they are ready to lay their eggs. This flower is a Modern Hive homestead staple because it actually thrives in our backyard. The dried flowers have a simple geometry that looks perfect in a small bud vase. It adds a beautiful contrast to a loose, organic flower arrangement. with a couple of edible / medicinal options thrown in. What kind of flowers do you plant in your yard to help pollinators to thrive? I'd love to hear what works for you. Please leave your comments below, and until then, enjoy your Spring garden planning in this cold winter weather.